Ever have one of those days when you need a nightcap? Bailey’s Irish Cream has to be one of my favorite liquors, it’s flavorful, creamy and can be used in many cocktails & desserts. It can also be used in cocktails like spiked chocolate milk. 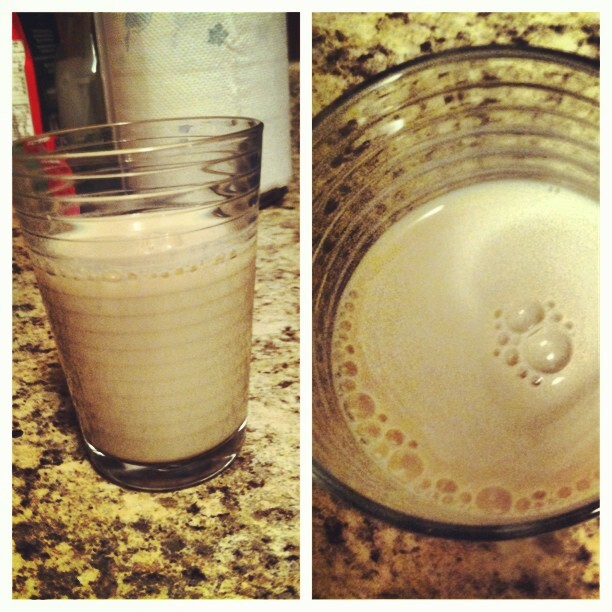 In a glass of your choice pour milk, shot of Bailey’s, & chocolate syrup. If you have a stirrer, stir to your liking if not use a spoon and mix it together so it looks like chocolate milk. Feel free to use or more less chocolate syrup and Bailey’s depending on how strong & chocolate tasting you like it. Once it’s the way you like it– sip & enjoy! This recipe is so simple and delicious, perfect for dessert or a nightcap. Next time you think of buying a bottle of Adult Chocolate Milk, think again, the recipe is simple and only requires three ingredients! This entry was posted in cocktails, DIY, food, foodie, homemade, Recipe, recipes, Sara Monica, SCBD, Small Chick Big Deals, Treats, yummy and tagged chocolate milk, cocktail, delicious, diy, homemade, nightcap, recipe, scbd, small chick big deals, spiked, yummy by smallchickbigdeals. Bookmark the permalink.